It was with some sadness that I left the Xtravirt offices in Surrey for the last time recently. Due to the nature of my work I’ve rarely been there, but it always felt like home because of the people. If, for some reason, you’re not familiar with Xtravirt, they’re a leading virtualisation and cloud consultancy whose ambition and capabilities far exceed their size. 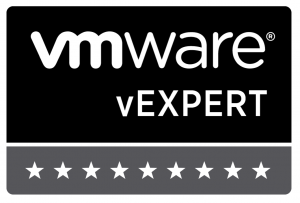 They’ve got some great consultants, many of whom I’ve known from before they were at Xtravirt, great management and the highest ratio of vExperts per employee in the world (although that might have taken a hit). All good things (including the last 18 months of automation and orchestration work on two large-scale cloud projects) must come to an end however, so I wanted to take this opportunity to thank everyone at Xtravirt for the great times and the opportunities there. We move in fairly small circles and I’m sure our paths will cross often.